OpenStreetMap Geography Awareness Week (OSMGeoWeek), is an international festival on OpenStreetMap ("OSM", the Wikipedia of maps). It takes place this year, November 13 to 20! This festival gathers all humanitarian organizations, private and institutional bodies, individuals, and communities that wish to raise awareness about OSM, and help as many people discover this database, all while contributing to tangible projects around the world! The map of all mapathons carried out worldwide! OpenStreetMap (OSM) creates and provides free geographic data for anyone who would need them. This tool allows to edit road, bicycle paths, or thematic maps, but also to complete areas of the world that haven’t been mapped out yet. As it turns out, some regions of the globe are still misrepresented on maps – either missing completely, or imperfectly described. With OSM, it is possible to draw roads, buildings, rivers and more from satellite images, and making this available to all. This data is notably extremely valuable for the intervention of NGOs in conflict zones as well as during natural and humanitarian crises ; it is also of prime importance for institutions and local communities. 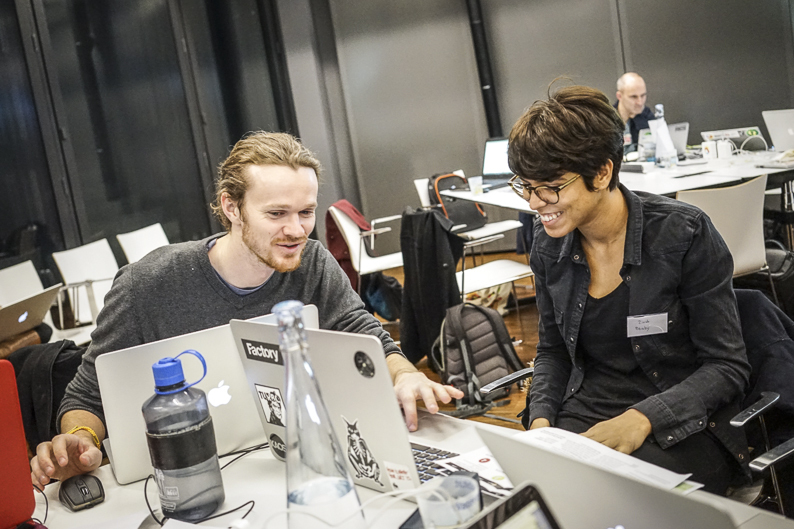 In order to discover OpenStreetMap and contribute to a humanitarian project is simple : you just need to take part in a mapathon with your laptop. A mapathon is a friendly moment, where participants gather to map, share, and learn to use the OSM contribution tools. No prior knowledge is required to take part. As the above figure shows, a mapathon or remote mapping is the first step in the creation or update of a map. Once the contribution is complete, data collection in field will be carried out by local communities. This data will then be ready for use for local development projects or risk reduction projects. 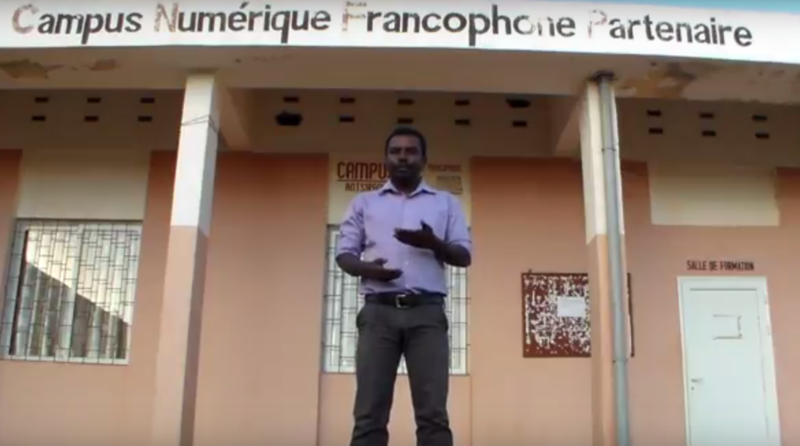 Through the "Synergies francophones 2017", CartONG is inviting the general public to take part in the OSMGeoWeek, with a focus on international cooperation between French-speaking countries. With the support of the Auvergne-Rhône-Alpes region (France), we are organizing 5 mapathons regionally, and 5 mapathons in French-speaking African countries between the 13 and the 20 of November. 1- To support the completion of development projects which are carried by local activists, actors of the French-speaking African OSM communities, while establishing relationships between different communities (as much between African communities as with France and internationally). 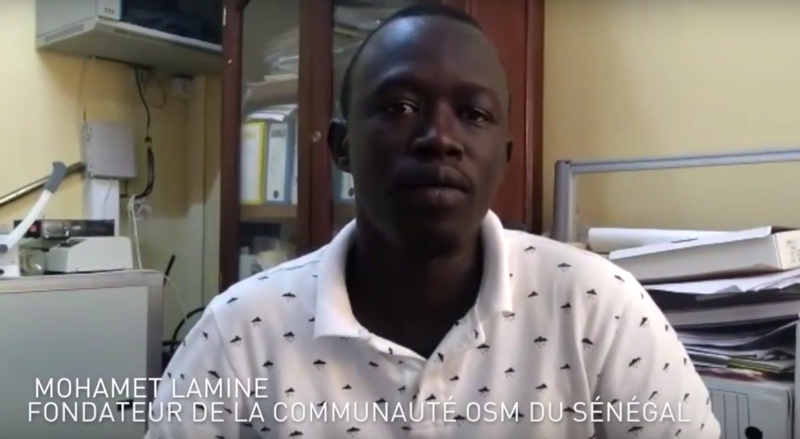 2- To promote the actions of the French-speaking African OSM communities in France and beyond! 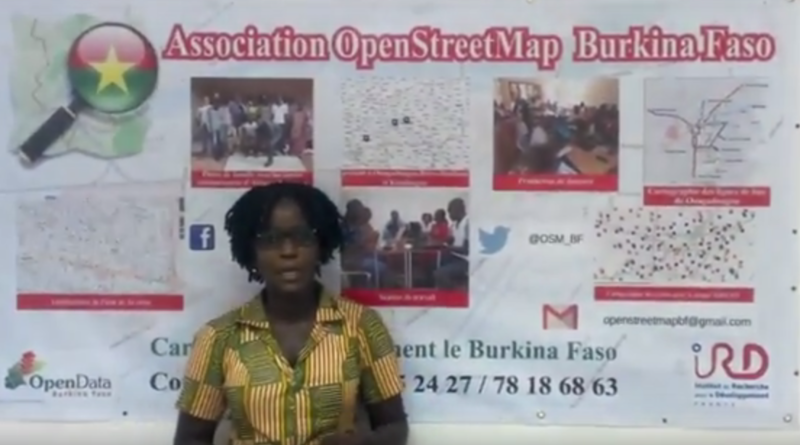 In this context, we are proposing 5 mapping projects to which you can contribute, which directly originate from involved French-speaking African OSM communities. These projects address local issues, humanitarian and/or of economic development. They will rely on feedback from the involved OSM communities. As a total newbie, can I participate? YES! 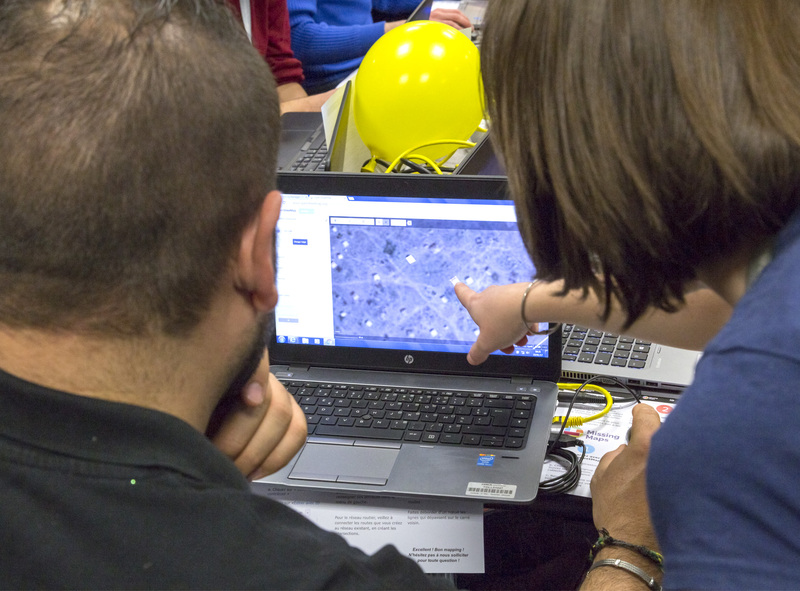 It is easy to participate in a mapathon : no specific prior knowledge is required! Anyone can start mapping in OSM and be part of a development and/or humanitarian project, all while having an impact and a direct link with field data and local communities. All you need is a laptop, a mouse, and an internet connection. A mapathon is also a meeting place for mapping enthusiasts, members of humanitarian associations, or OSM contributors. It is a great opportunity to learn about new initiatives in a cheerful environment! Every weekday, a community is spotlighted, find out about their days in the following section (The projects of the communities). Objective : Mapping the Bobo Dioulasso region. For more information, here is the project video! Why? To prevent malaria. Malaria contaminates 9 million persons, and kills more than 4,000 each year. 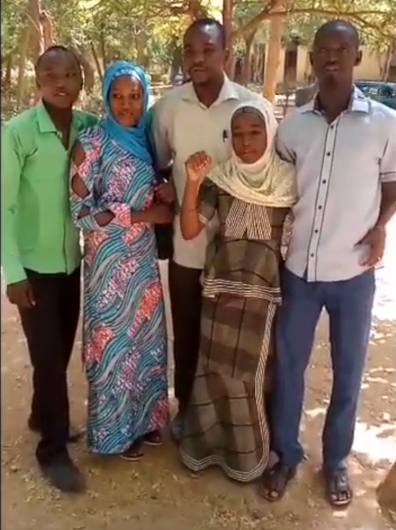 Here’s a detailed article about this in Burkina Faso. Mapping Bobo Dioulasso will help health services to better act, prevent, and understand most at-risk malaria areas. 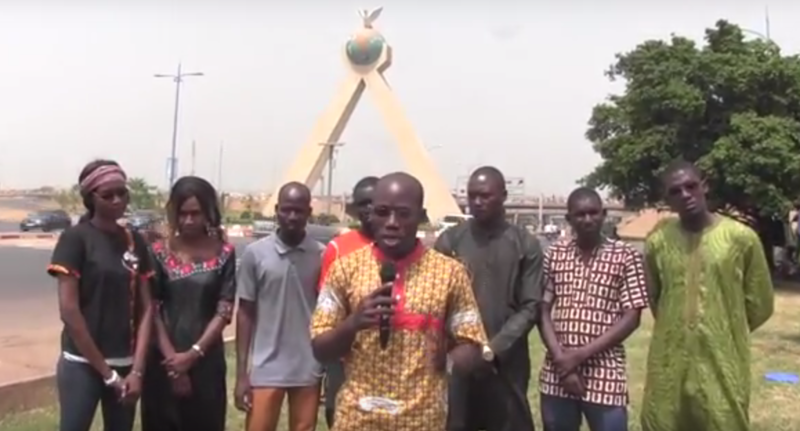 Objective : Mapping Touba, 2nd largest city in the country. Why? To support pilgrims. Touba is gathering each year around 3 millions pilgrims during the Grand Magal pilgrimage, the 2nd biggest muslim gathering after Mecca. Your support will help pilgrims to reach key places and navigate through the city during this pilgrimage, and in the longer term, support the sustainable development of the city. Objective : Mapping Bamako. For more information, here is the project video. Why? The map of the city is incomplete, some neighbourhoods are not represented. This will help inhabitants, and local actors (such as local authorities, local and international NGOs, civil society) to better navigate the city and develop local and sustainable projects. 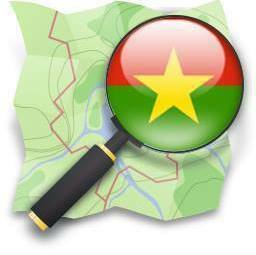 Join us un helping the Mali community finish the map of Bamako! Objective: Mapping Antsiranana. For more information, here is the project video ! Why ? To support the tourism industry. Antisiranana, city in the North of Madagascar, gathers each year a large number of tourists thanks to its landscape and rich history. Mapping will help OSM communities to make this cultural and natural heritage more visible to tourists, while carrying the communities’ voices and supporting local economic development. Objective: Mapping the Niger river at Niamey. Why? To prevent floodings. Each year, Niamey, the Niger capital suffers from the rising waters of the Niger river. In September 2017, it killed 10 persons, and forced to 40,000 to move. Mapping the building of the area will help local authorities and inhabitants to better prevent flooding risks. Make some noise, join us! If you wish to organize a mapathon in your area, get in touch with us and we will help you by providing support before, during, and after the mapathon. Contact us at : missingmaps@cartong.org.